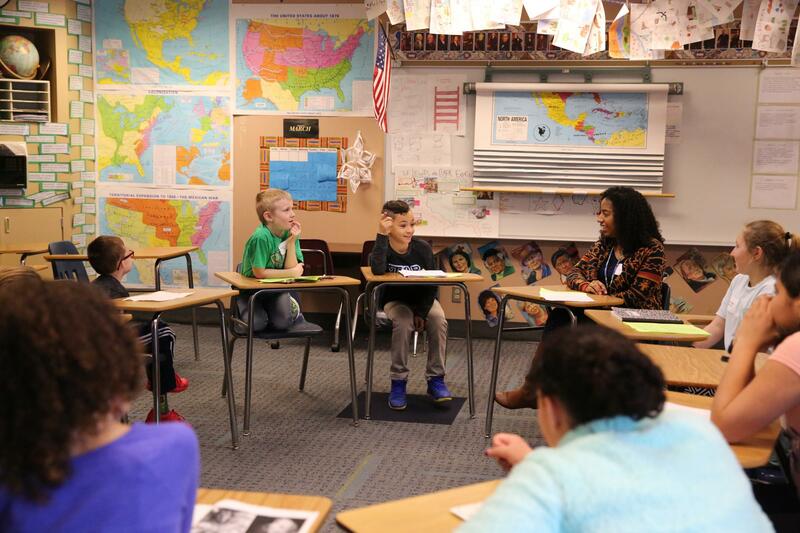 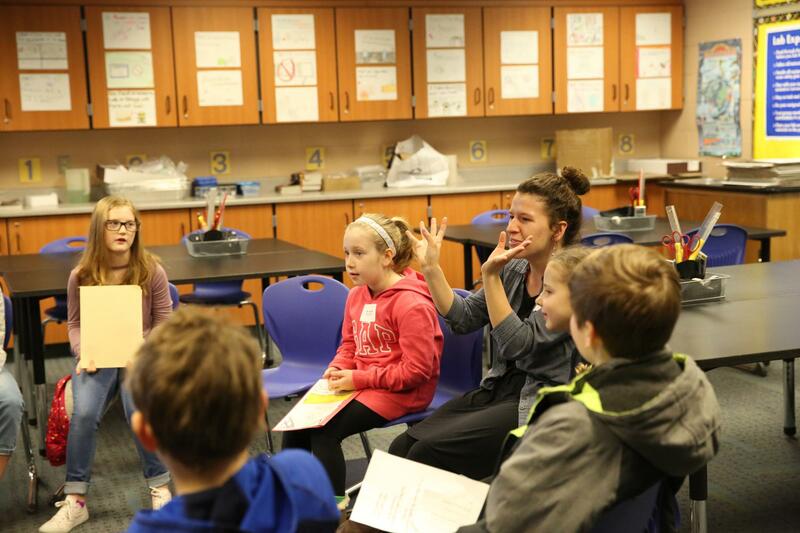 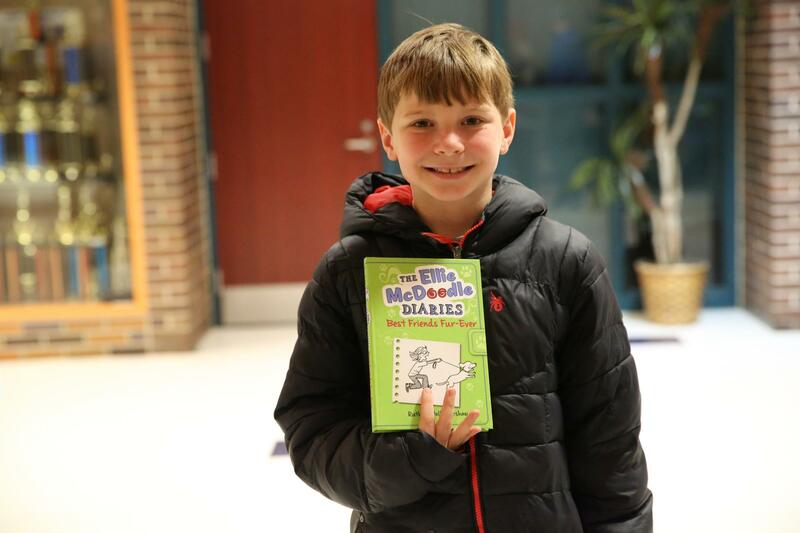 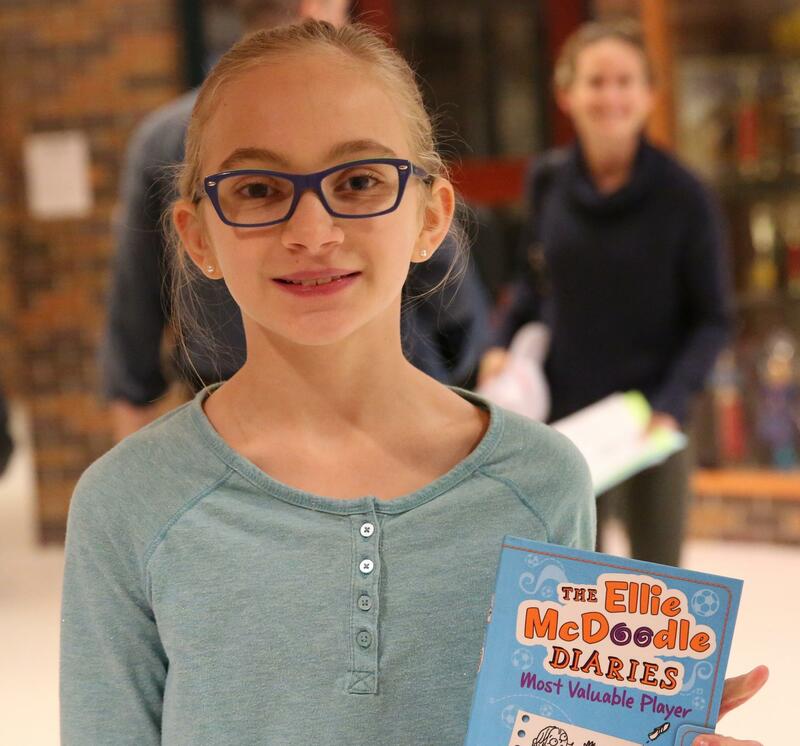 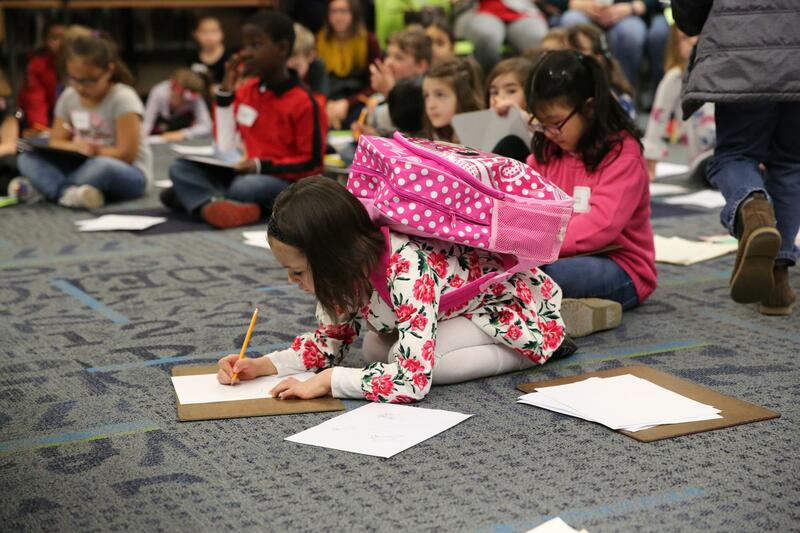 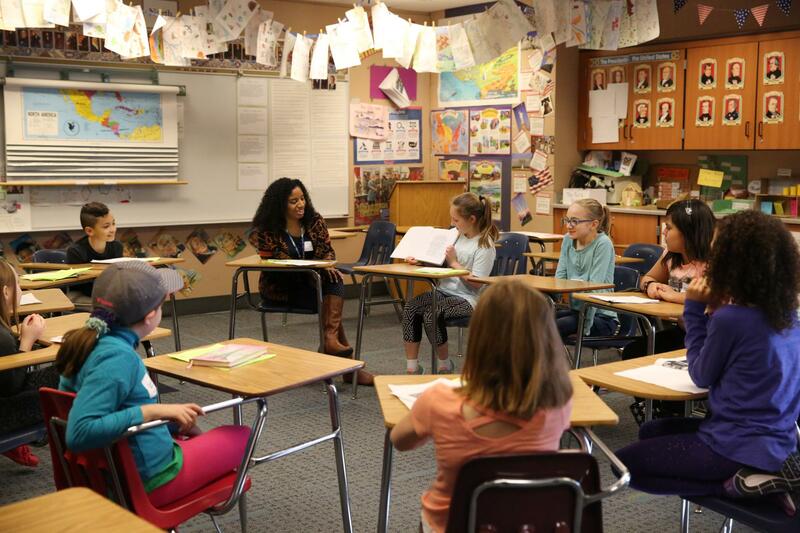 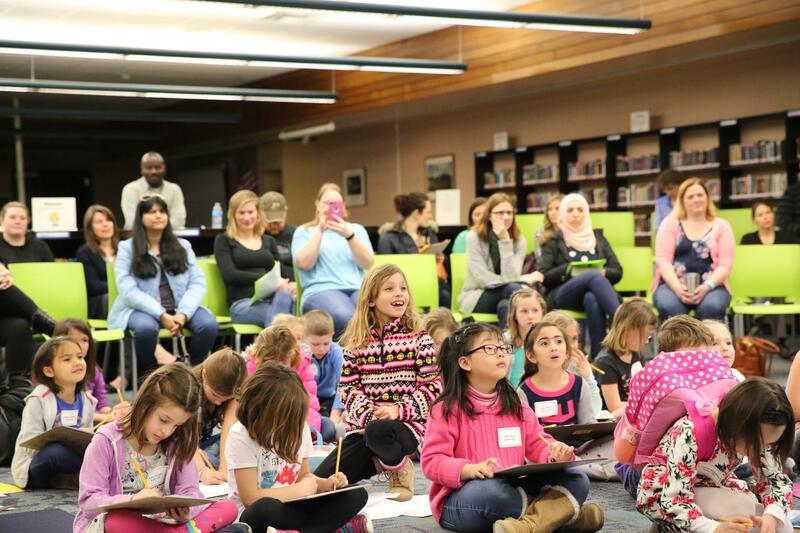 Approximately 150 students attended this year’s Young Authors’ Conference with their parents (Saturday, March 10). 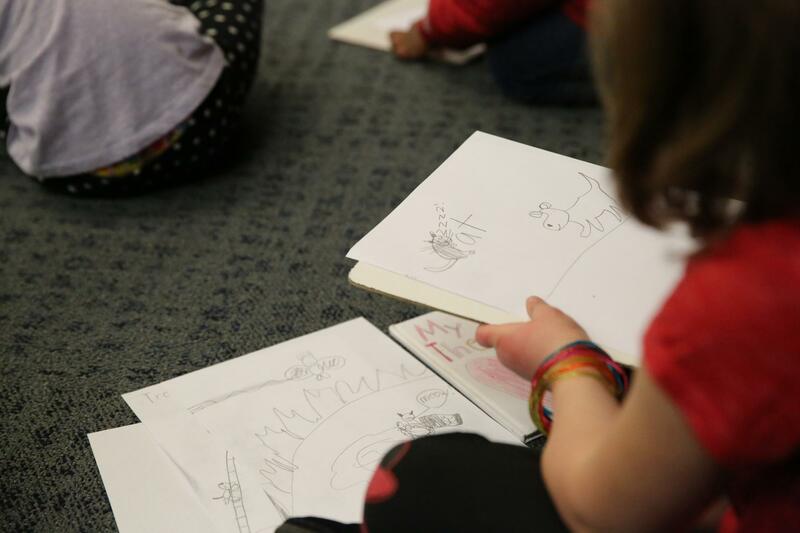 This year’s guest writer was Ruth McNally Barshaw, author and illustrator of Ellie McDoodle Diaries and Leopold the Lion. 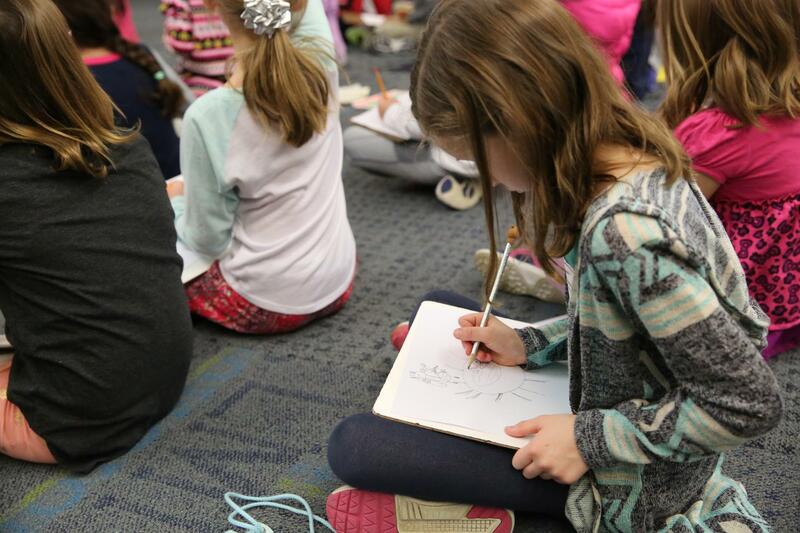 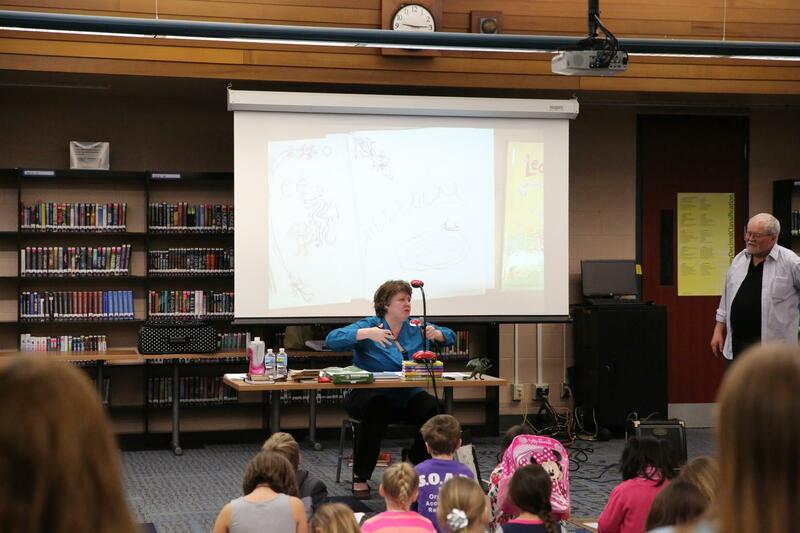 P-H-M students in grades K-5 enjoyed the unique opportunity to learn directly from a well-known children’s writer. 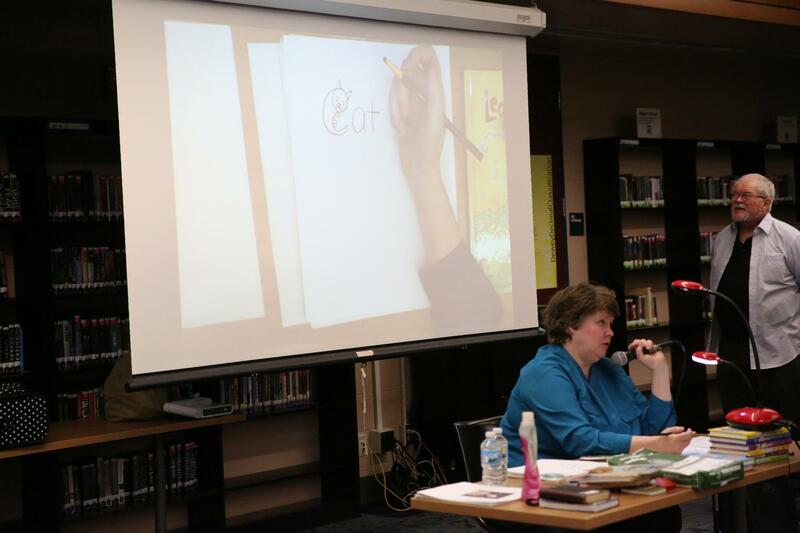 Barshaw led the students through sketching exercises and gave them creative writing and storytelling techniques. 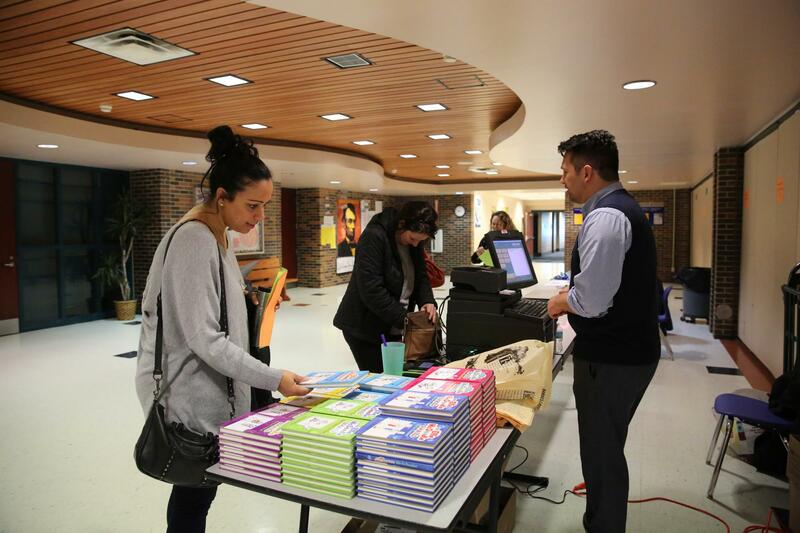 After the program was over, Barshaw held a book signing for the families. 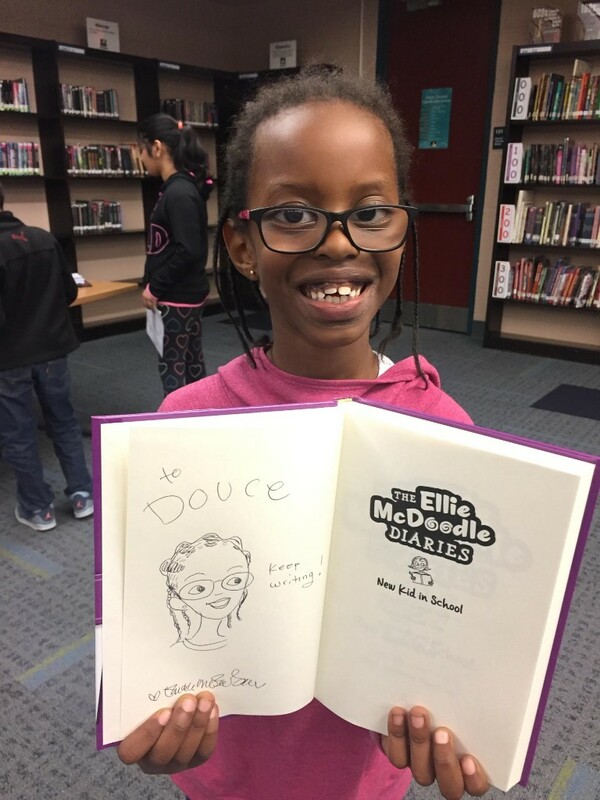 As a reward for the students that waited in line for 2 hours … she did their illustrations as part of giving the students her autograph! 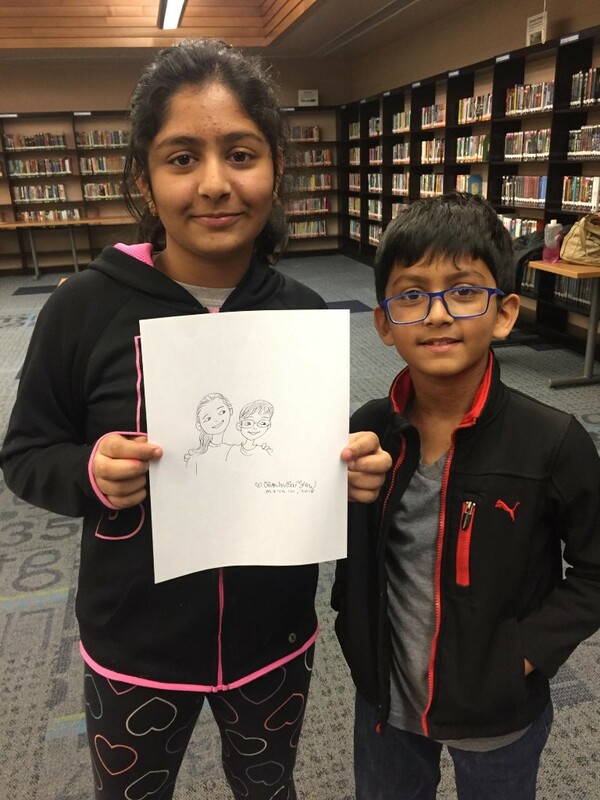 See the photo gallery below. 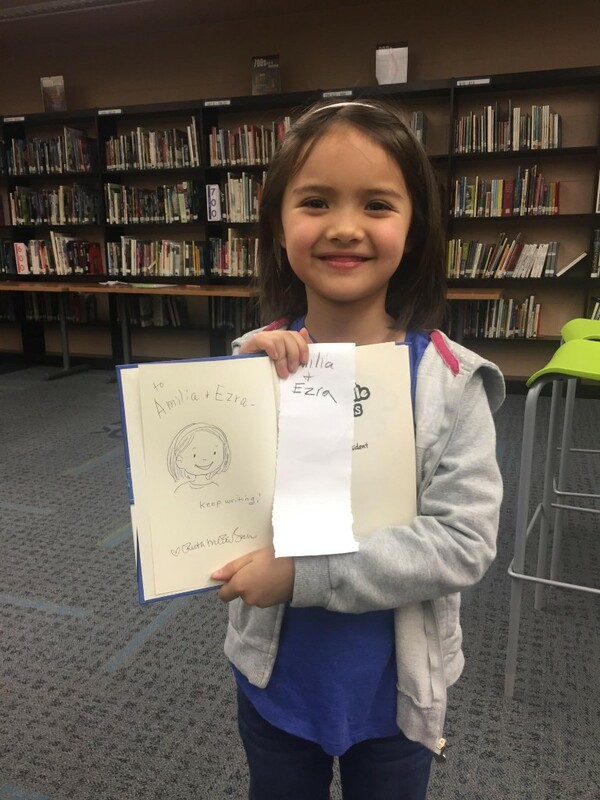 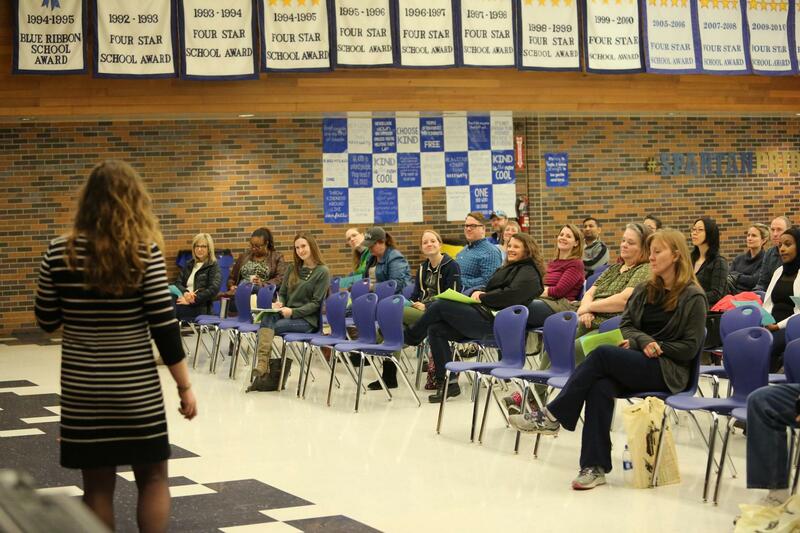 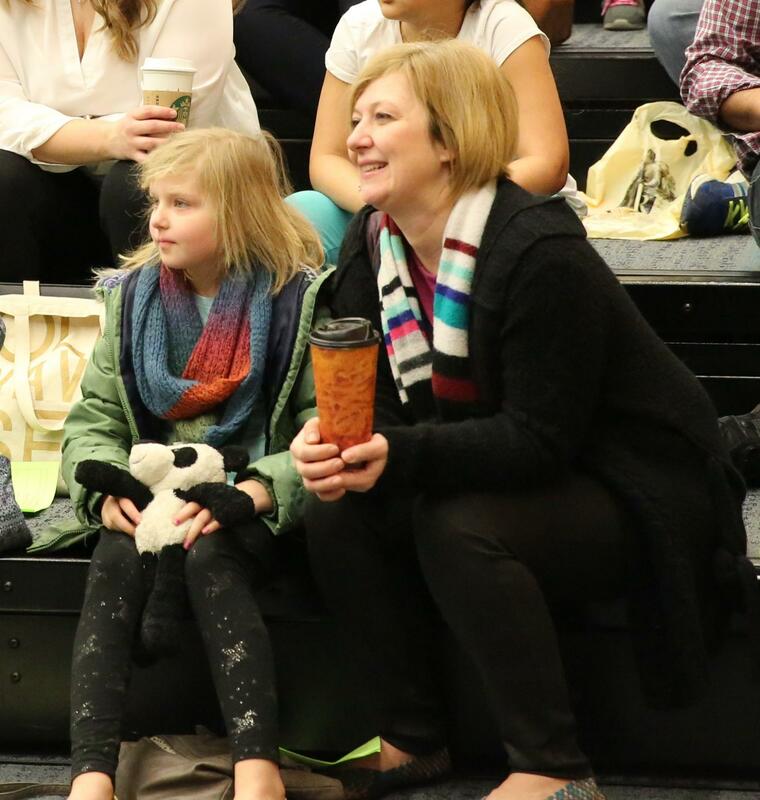 Students aren’t the only ones that benefit from the Young Authors’ Conference, parents do too! 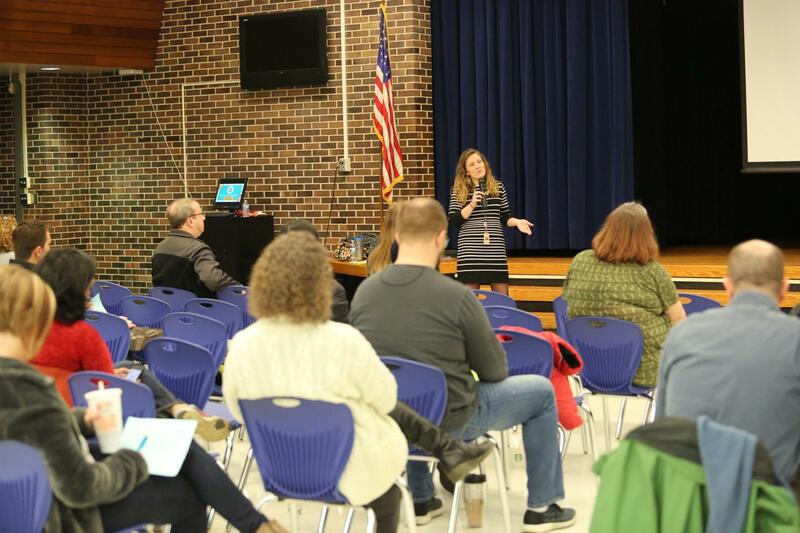 While students were participating in their small group writing sessions, parents attended a special presentation by Prairie Vista teacher and writing expert Carrie Mumaw who gave parents fun tips on ways to inspire ideas for creative writing with their children. 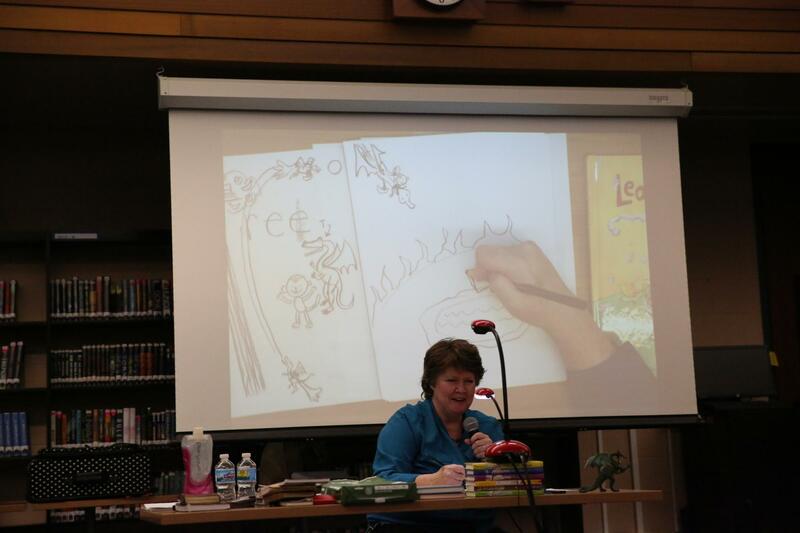 Click here for Mrs. Mumaw’s presentation. 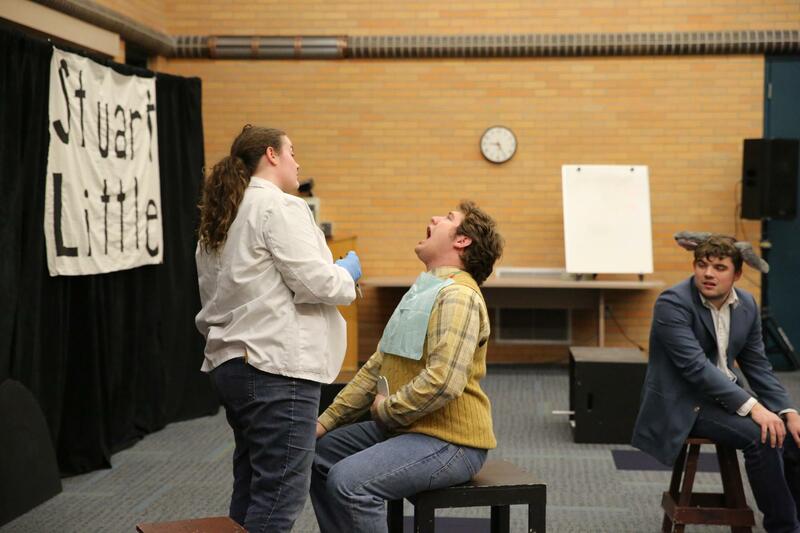 Students and parents also enjoyed a presentation of “Stuart Little” by Bethel College Genesians. 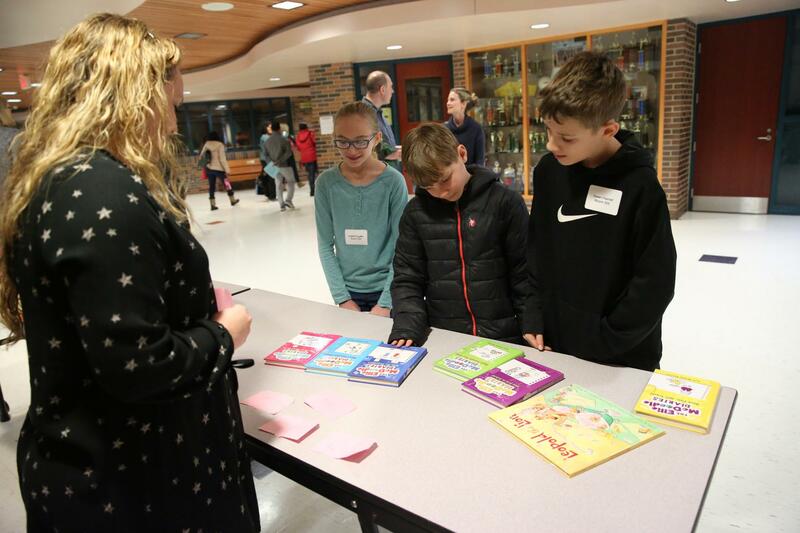 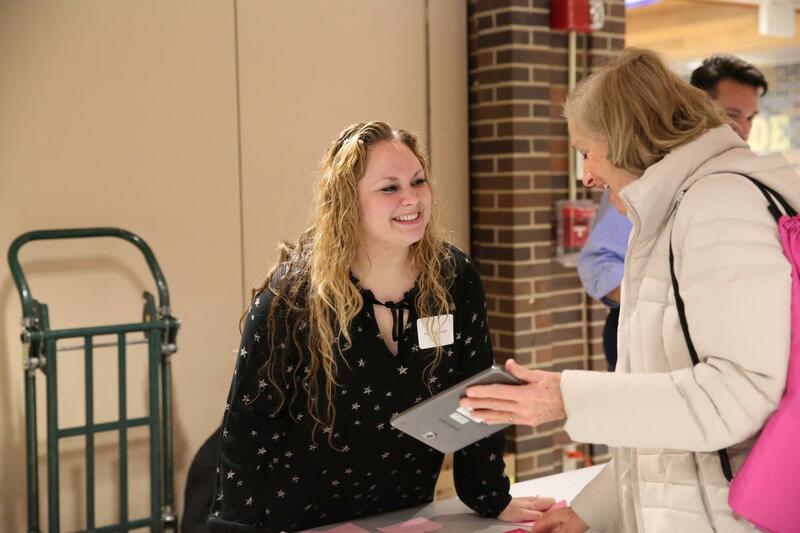 This was the 10th year for Young Authors’ Conference; it is sponsored by Corporations for Education, a division of the P-H-M Education Foundation.